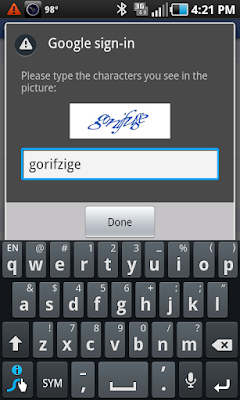 I think captchas have gone too far. Yesterday I had some kind of error on my Captivate and it presented me a captcha. After I failed the first one I began screen capturing the challenge and my responses. Here are those screen captures in a random order. Let's see who can pick the one that is correct. Now remember that these were presented on a 4 inch screen in bright sunlight.